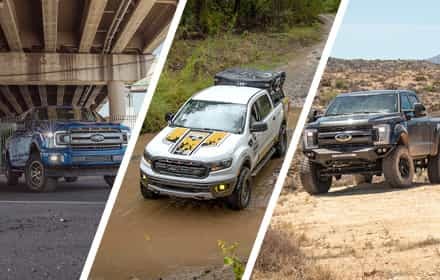 Getting a massive boost in light output for your 2004-2014 F150 doesn't mean you need to invest a ton of money in off-road lighting systems. 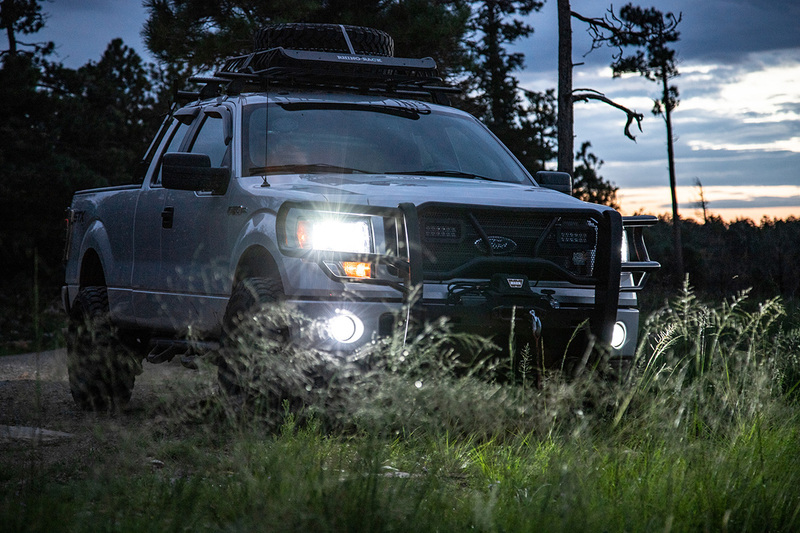 All you really need is 4x4TruckLEDs' CrystaLux XHP50 LED Head Light Conversion Kit. 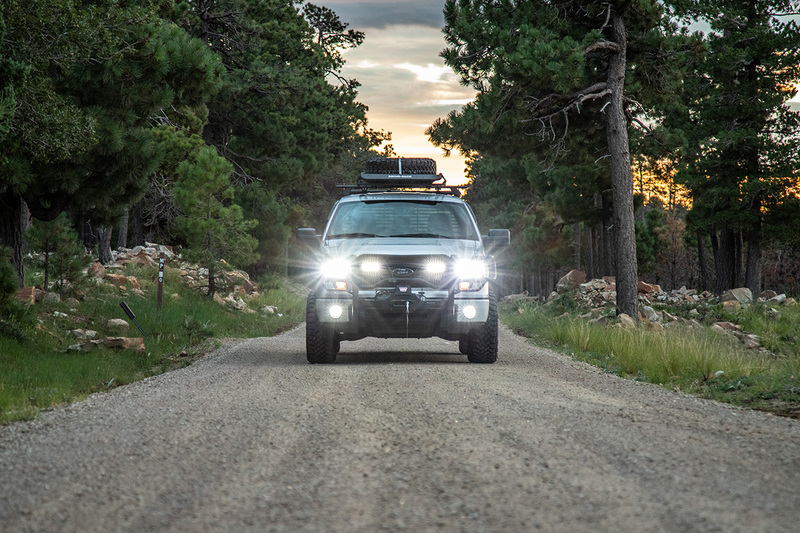 This kit replaces your F150's weak H13 halogen high-beam bulbs with a complete LED conversion system that's capable of producing up to 12,000 raw lumens of brilliant, white light. 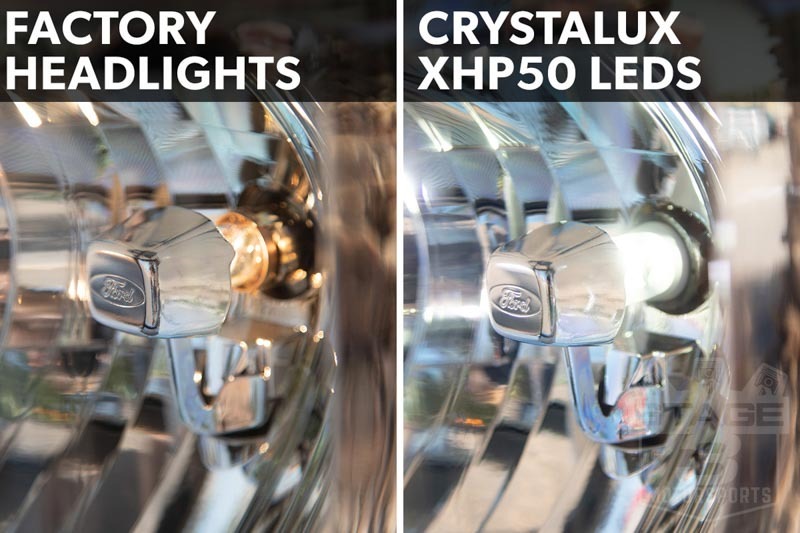 The CrystaLux XHP50 LED Conversion Kit uses a combination of aluminum construction and reliable fan design to dissipate heat, while a compact driver and wiring don't take up a ton of room in your engine bay. 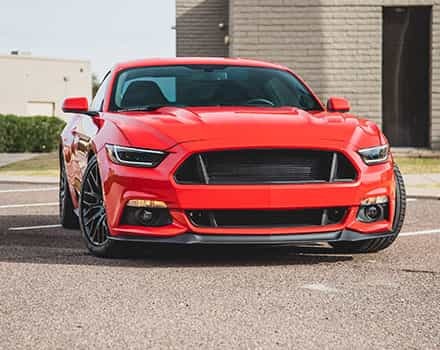 The XHP50 LED conversion kit produces a 6500K color temperature, giving your headlights a clean, white output that's far more classy and modern than the stock halogens. 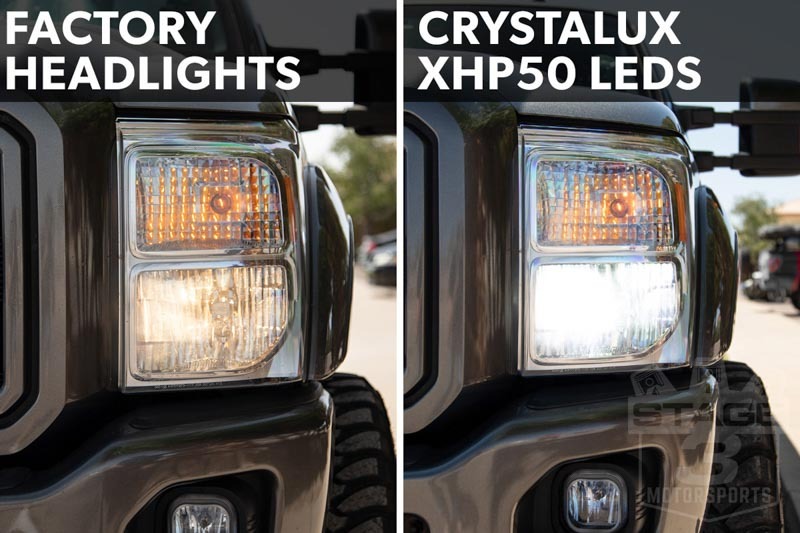 The CrystaLux XHP50 LED Conversion Kit installs in place of your factory H13 halogen bulb and comes with everything you need to get this powerful LED system running on your truck's low beams. 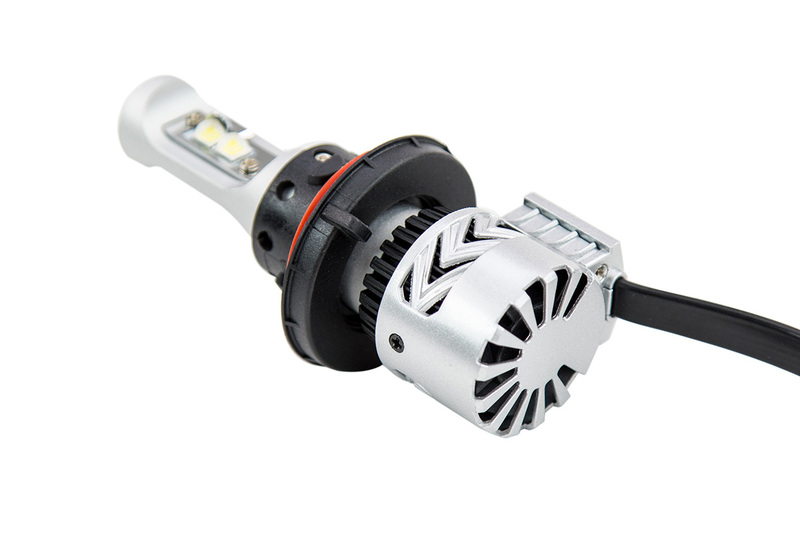 The LED bulb is built around a powerful CREE XHP50 diode that's capable of generating up to 6,000 raw lumens of light per side. 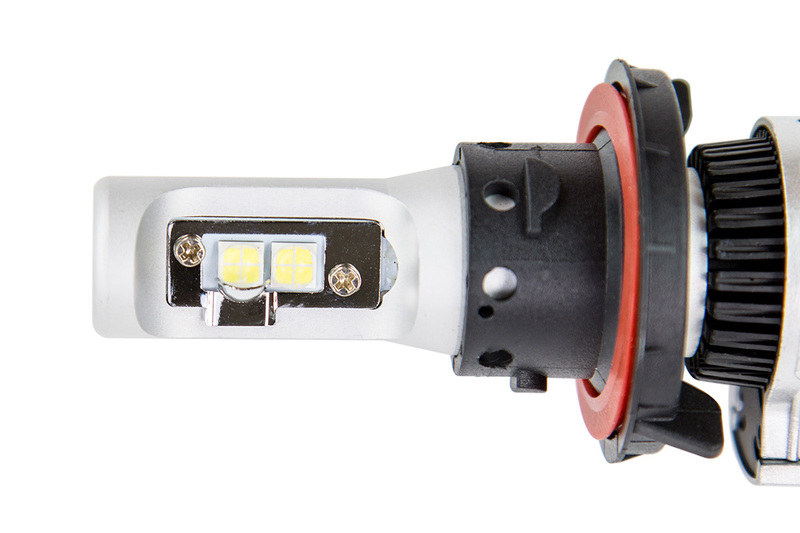 The diode is housed in a bulb assembly made out of 6063 aluminum that allows for excellent heat dissipation and structural strength. At the bottom of each bulb assembly ins a non-oil nylon fan that spins at 12,000rpm to further reduce temperatures for excellent reliability and run times. 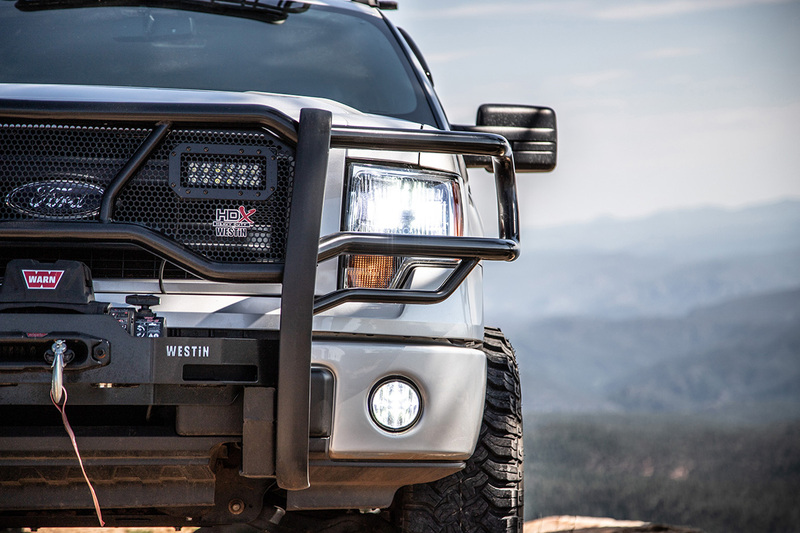 The kit also includes a pair of LED drivers that have extremely small dimensions for the light outputs involved, allowing them to fit into tight spaces for a cleaner look in your F150's bumper. The drivers are fitted with plug-and-play connectors, and no splicing is required. 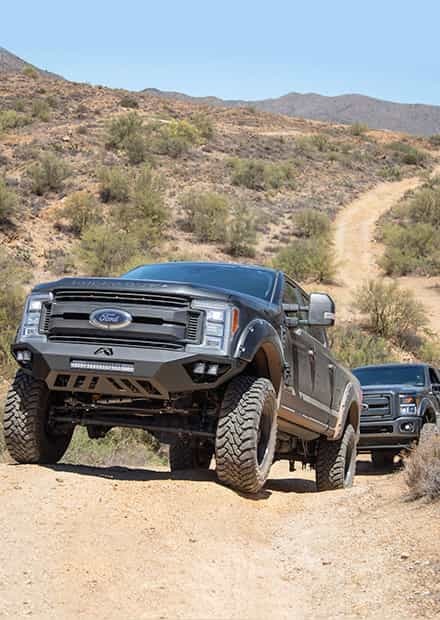 The H13s feature a dual-function design to preserve both your F150's low beams and high beams. 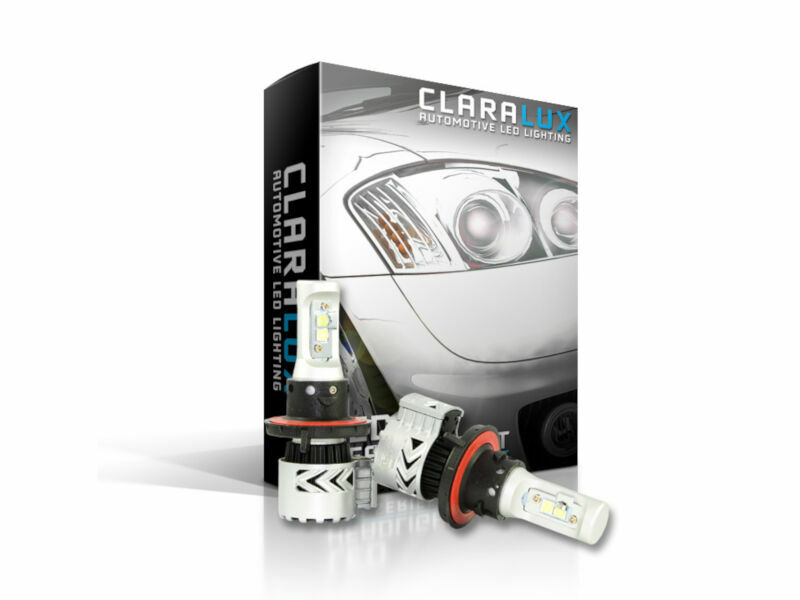 The CrystaLux LED Kits come backed by a 2-year limited warranty. 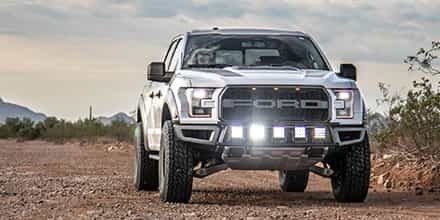 For Base Halogen Reflectors Only: this LED conversion kit will only fit F150s with OEM base halogen reflector headlights, and it will not fit 2013-2014 F150s with OEM Bi-Xenon HID Projector Headlights or earlier F150s retrofitted with Bi-Xenon Projectors. These are the bulbs to run in your F-150. Super bright and nice field of light. Not spotty with a nice cutoff line. Worth the money. Install was very easy! Only took about 20 minutes from start to finish. Lights are extremely bright. If you leveled your truck, you will most likely have to adjust headlight assemblies to lower them a bit as my leveled truck with 33's was getting flashed by on coming traffic. After a few simple adjustments, I am very satisfied with lights. 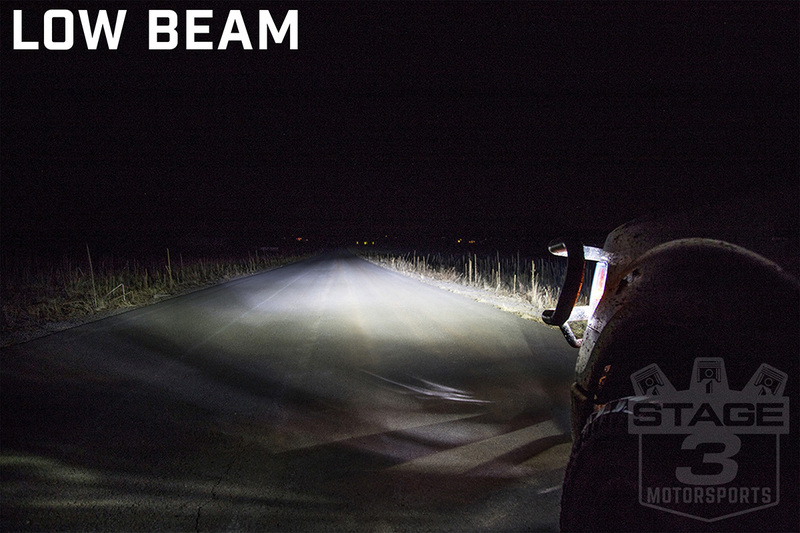 They carry a 2 year warranty which is better than any HID I've ever bought.. You will not be disappointed with these lights or with ordering through stage 3 motorsports. Their customer service has been outstanding through the years. Installing is basically like replacing the halogen bulbs but you are also adding the ballast to it. It took about an hour to do the install and I adjusted my headlights down a little bit. These are nice and bright. 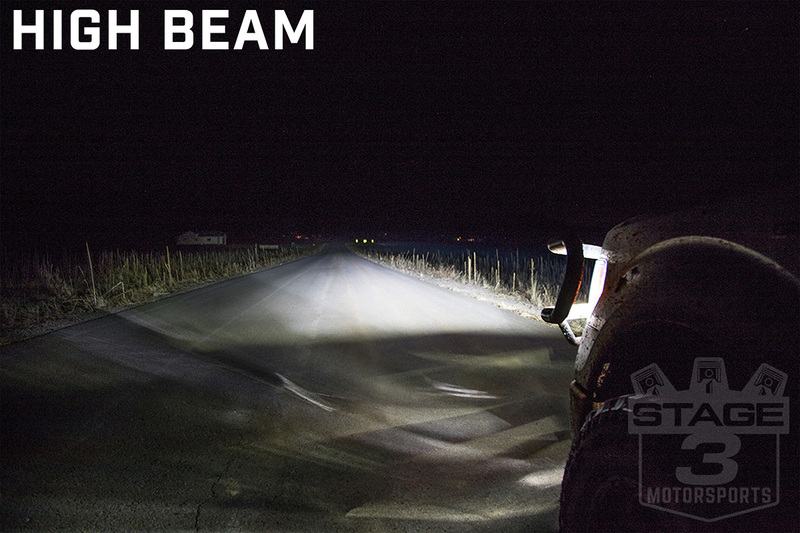 I don't really need to use the high beams. Good price, product shipped quickly. The bulbs were very simply to install and are very bright! Installed these LED lights on my truck. The difference is very noticeable and it only took me 10 minutes! Do these leds have the high and low beam in the one bulb. My truck only uses one bulb for high and low and is in a reflective housing?? 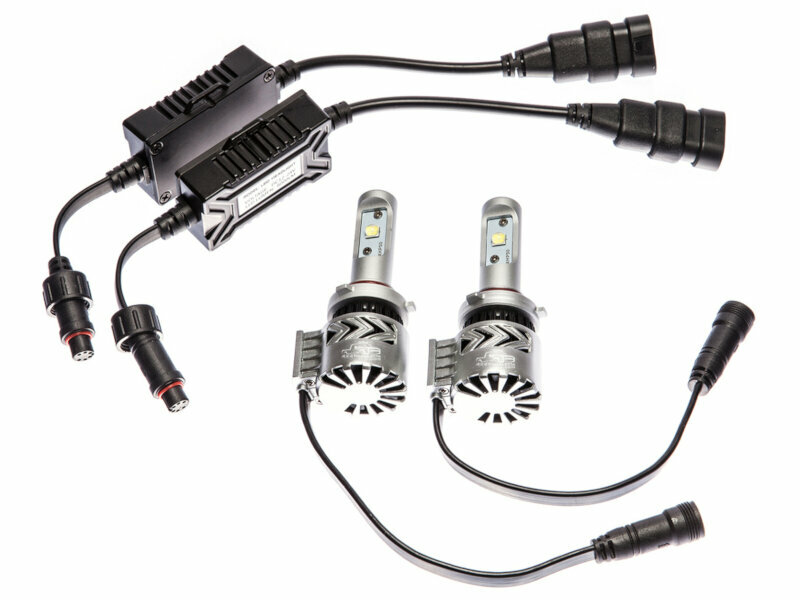 According to 4x4TuckLEDs, this H13 kit is dual-function, and will work as both low-beam and high-beams. Was this answer helpful? 4 of 5 Found Helpful. Is there a warranty on these bulbs? 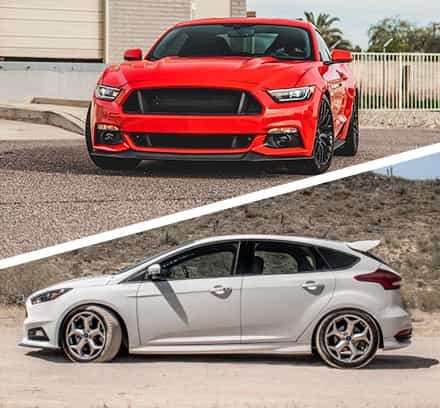 These kits come backed by a 2-year Limited Warranty. Was this answer helpful? 3 of 4 Found Helpful. One more question for you, how do these compare to the Diode Dynamics light kit DD-HIDKIT1-1033-H13? It's not really a fair comparison, since HIDs and LEDs are so functionally different. 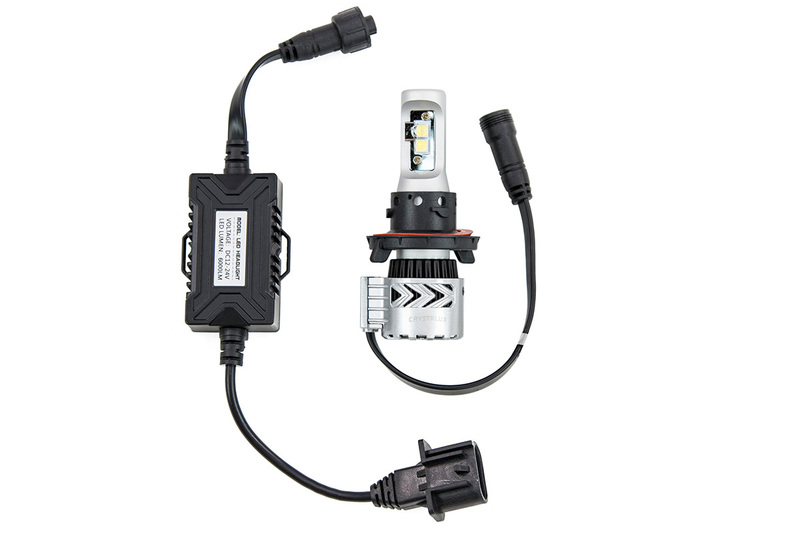 However, the Diode H13 HIDs will be brighter, but that are a bit more complex and that extra brightness isn't necessarily a good thing in the factory reflector housing, and you generally end up blinding other drivers. We typically prefer LEDs as a general rule due to their reliability and easier install. Was this answer helpful? 3 of 3 Found Helpful. 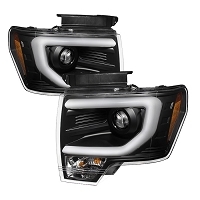 My F150 has daytime running lights, will these work with that? Yep. 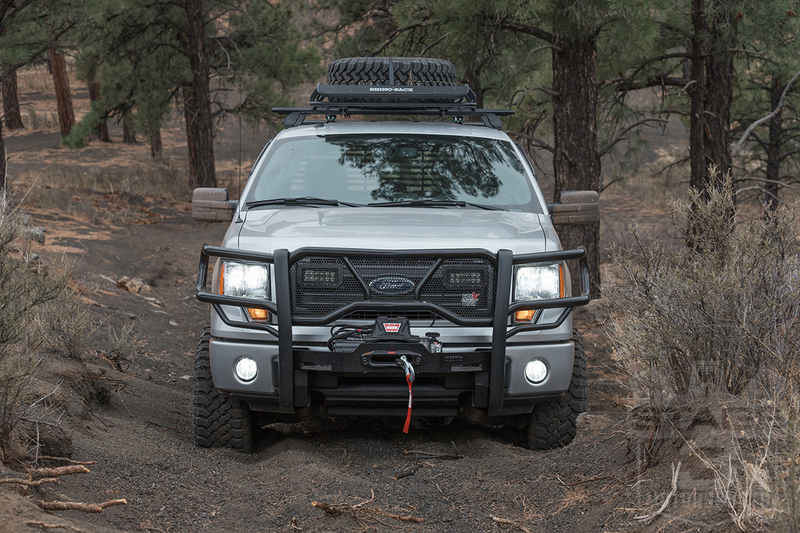 This LED conversion kit will fit and function just fine on a truck with full-time factory Daytime Running Lights (DRL). 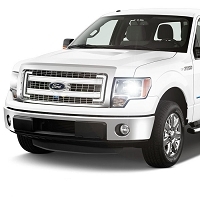 I have a 2013 F150, it is the Canadian model. 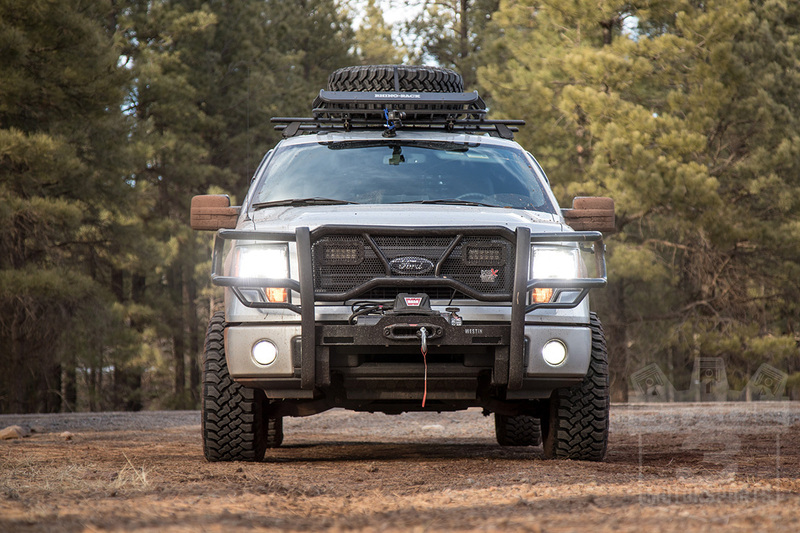 Would this light conversion kit work with daytime running lights? Yep. 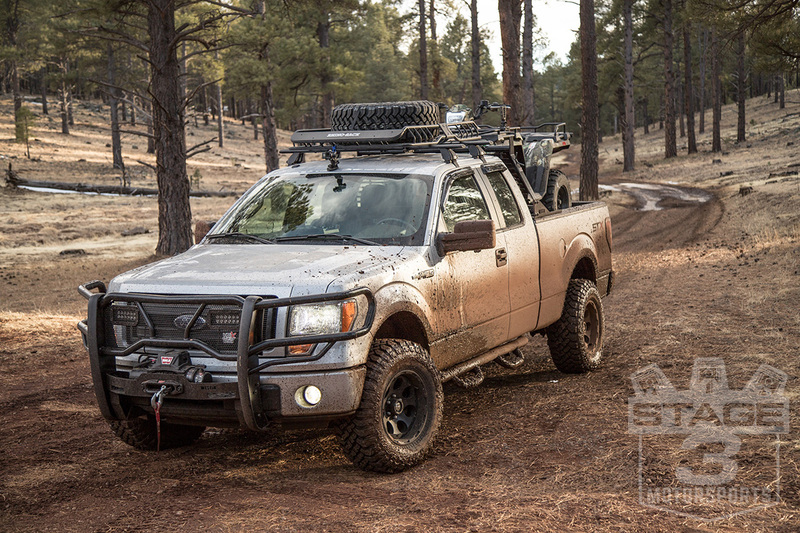 You should have no issues with function on a truck equipped with full-time DRLs. 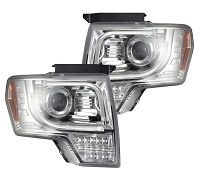 Will these work in the projector style headlights on the limited series f150? They will not. 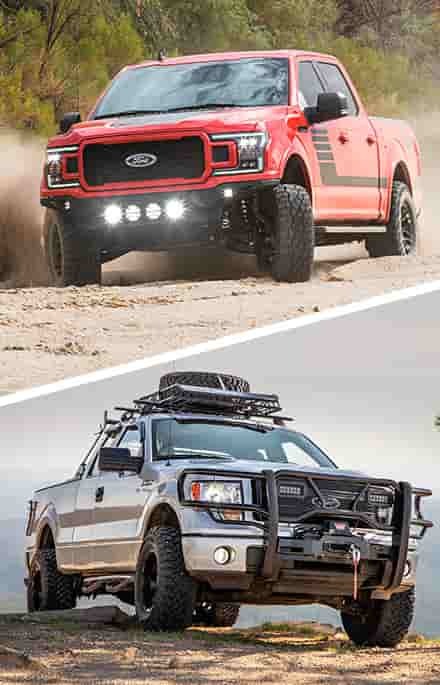 The 2013-2014 F150s that came with OEM projector headlights had HID systems that used D3S bulbs and not standard H13s. 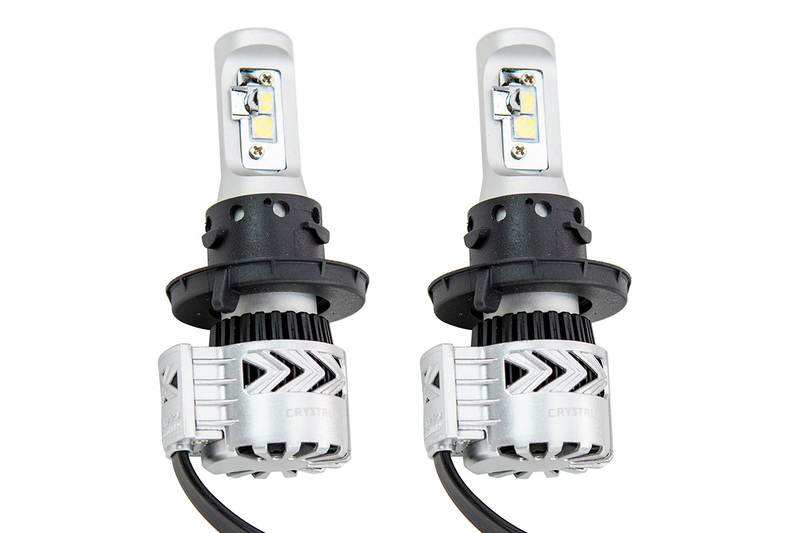 Would these headlight bulbs be able to work in a 2015 f150 2.7L ecoboost? They would not. 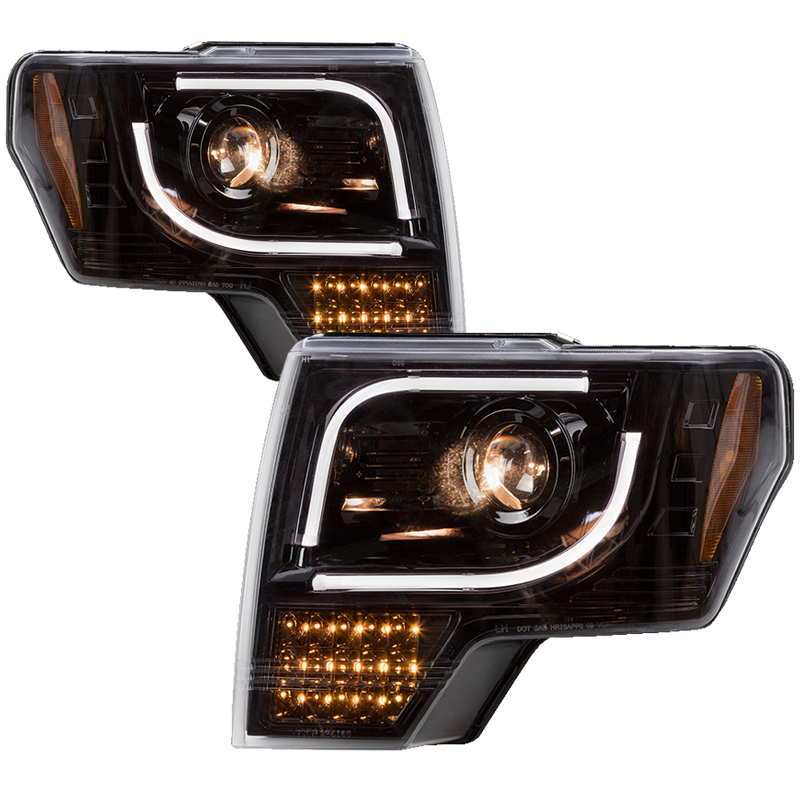 The 2015 F150s use an H11 and 9005 bulb in their headlights. 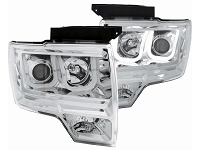 You can find LED conversion kits for the stock headlights here.